This is your Affiliate Marketing Center with helpful tools that you can use to promote Rev It Up Reading to your partners, clients, followers, etc. You may download these various marketing materials and use them in your campaigns. Bookmark this page so you can visit it regularly. To update your affiliate profile, access reports and commission summaries, simply login to your Affiliate Resource Center. If you need any other marketing materials to help you promote Rev It Up Reading or to request these marketing resources in a text-only format, please call 203-949-9153 or email abby@revitupreading.com. Wondering how to manage your reading load in this age of information overload? 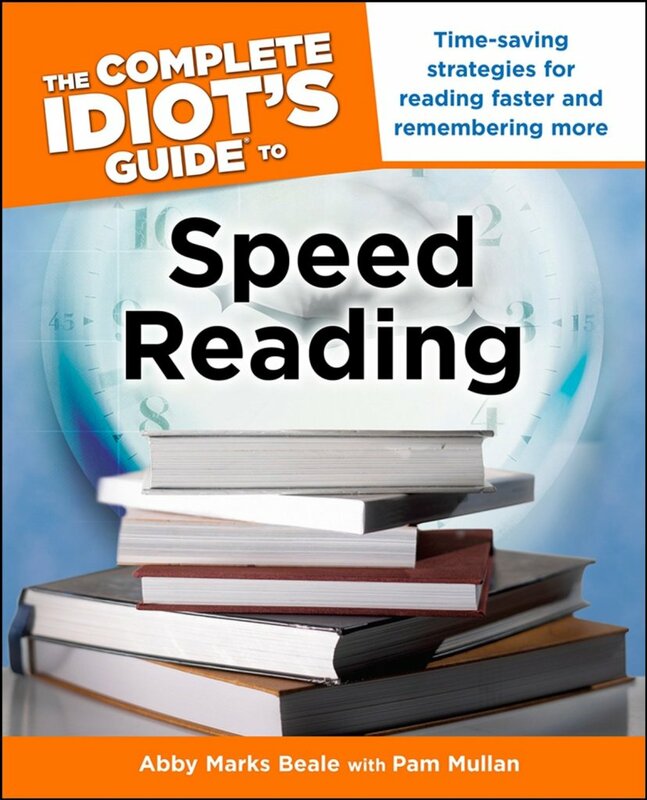 I’d like to share with you a valuable tool that will help you manage your reading workload. Rev It Up Reading is a user-friendly and interactive online reading course that focuses on efficient and effective reading strategies that help you read smarter, faster and just plain better. 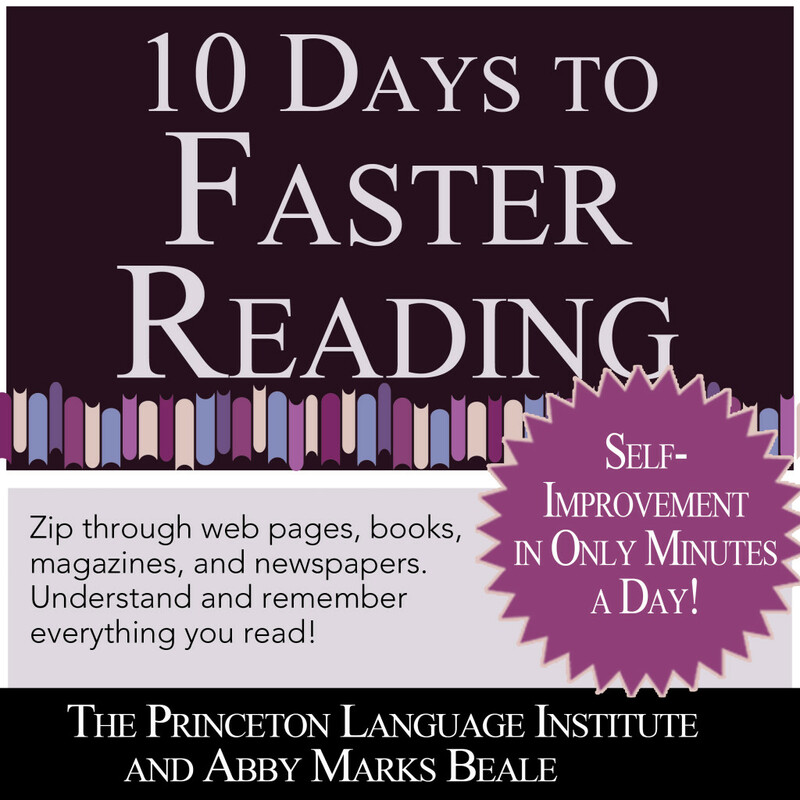 It was created by Abby Marks Beale, America’s #1 Speed Reading Expert and author. The course consists of nine interactive and instructional modules which can be completed in just five hours. People who take the course learn simple and effective strategies for increasing one’s reading speed while maintaining or improving comprehension. More importantly, they gain confidence and competence to tackle any reading workload. (Your Organization’s Name) wants you to be the best reader you can be. Start getting up to speed with what you read and visit Rev It Up Reading (insert your affiliate link) today! Do you know that reading is the mother of all learning skills? Solid reading skills are a MUST for everyone on a college campus. 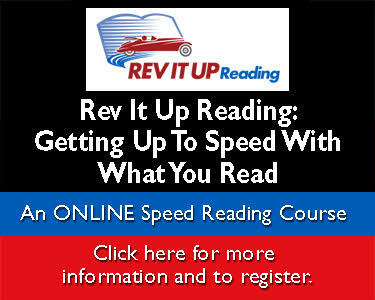 The Rev It Up Reading Online Course builds confidence and competence to tackle ANY reading workload. The easy-to- follow online reading course is divided into nine modules and takes only five hours to complete. (Your Organization’s Name) wants every student to succeed. Start now to learn how to get THE remedy for real world reading – visit Rev It Up Reading (insert your affiliate link) today! (Your Organization’s Name) is excited to share with you a useful tool that will help you manage your reading workload. Rev It Up Reading is a user-friendly and interactive online reading course that focuses on efficient and effective reading strategies that help you read smarter, faster and just plain better. For more information, check out Rev It Up Reading (insert your Affiliate Link). Are you wondering how you will ever get through your reading pile? The Rev It Up Reading online course can help you double or even triple your reading speed while maintaining or improving comprehension. This means you can read more in less time and breeze through all your reading. To learn more, visit Rev It Up Reading today (insert your Affiliate Link). Our friend, Abby Marks Beale, created the Rev It Up Reading online course to help you learn simple and effective strategies for better managing your workload on paper and on screen. In addition to the online course, Rev It Up Reading offers a variety of tools to help get you up to speed with what your read. 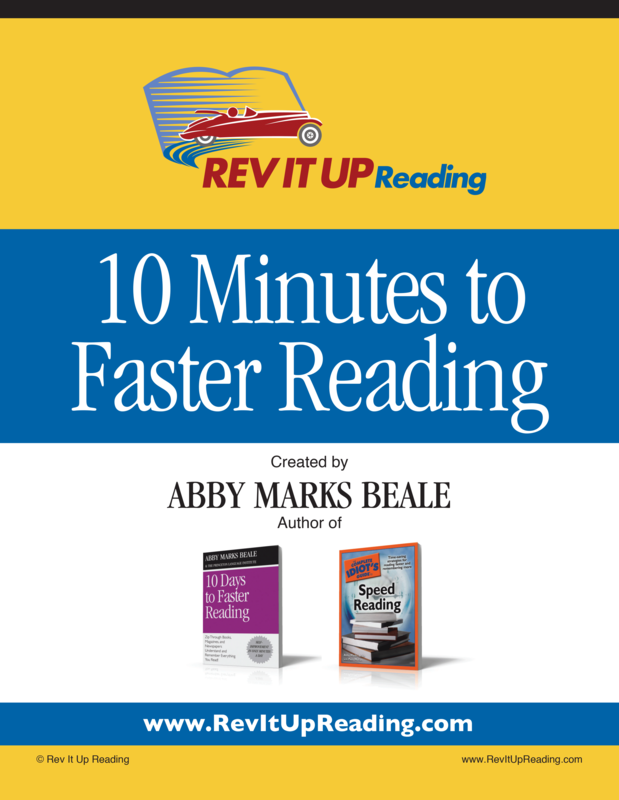 Listen to Abby’s podcast, download her book ’10 Days to Faster Reading’ and check out her other resources at Rev It Up Reading (insert your Affiliate Link). (Your Organization’s Name) wants you to become the best reader you can be! It’s time to check out Rev It Up Reading. Get your FREE One Day Pass with access to one module of the Rev It Up Reading online course as well as Abby’s favorite exercise “Discipline Your Eyes”. Trust me, you’ll like what you see! Visit Rev It Up Reading today (insert your Affiliate Link)! Additional banners (various sizes) can be found by logging into your Affiliate Resource Center.